It’s that time of year, kids are heading back to school and with that comes a lot of relief from parents but our kids could be facing anxieties with heading back, such as being bullied. Seemingly bullying is prevalent wherever you go, work, school, playground, even online. Hopefully we’ll eventually put a stop to it but until that day comes, help your child adjust to back to school by getting informed with these anti-bullying tips. Research shows that in a classroom of 35 between 4 to 6 children are bullying and/or being bullied. At some point a child will experience some form of bullying and some will experience frequent, long lasting bullying. If you suspect that a child is being bullied, you’re probably right. Children will often deny bullying out of shame or fear. Bullying can threaten students’ physical and emotional safety at school and can negatively impact their ability to learn. Getting Started: Assess school prevention and intervention efforts around student behavior, including substance use and violence. You may be able to build upon them or integrate bullying prevention strategies. Many programs help address the same protective and risk factors that bullying programs do. Assess Bullying in Your School: Conduct assessments in your school to determine how often bullying occurs, where it happens, how students and adults intervene, and whether your prevention efforts are working. Engage Parents and Youth: It is important for everyone in the community to work together to send a unified message against bullying. Launch an awareness campaign to make the objectives known to the school, parents, and community members. Establish a school safety committee or task force to plan, implement, and evaluate your school’s bullying prevention program. Create Policies and Rules: Create a mission statement, code of conduct, school-wide rules, and a bullying reporting system. These establish a climate in which bullying is not acceptable. Disseminate and communicate widely. Build a Safe Environment: Establish a school culture of acceptance, tolerance and respect. Use staff meetings, assemblies, class and parent meetings, newsletters to families, the school website, and the student handbook to establish a positive climate at school. Reinforce positive social interactions and inclusiveness. Educate Students and School Staff: Build bullying prevention material into the curriculum and school activities. Train teachers and staff on the school’s rules and policies. Give them the skills to intervene consistently and appropriately(http://www.stopbullying.gov). Bullying is cruel and can be humiliating, making a child feel alone and helpless. If you suspect your child is a victim of bullying, talk with them first. 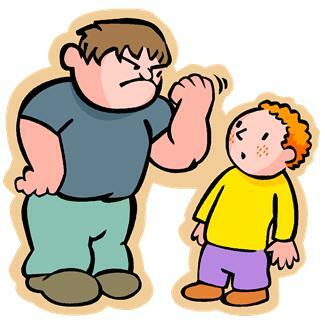 Explain to them that bullying isn’t a natural part of being in school, and teach them how to be more assertive. Assure them that using resources such as the principal and other adults can be a good thing when bullying gets out of hand. Let them know that they are most likely not only victim of their bully, and that there are probably others who could band together against the bully. Talking about anti-bullying is a good way to help prevent bullying. Even if your child isn’t involved with bullying, they should be aware of what’s going on and be taught to help when it happens. Even a simple thing such as standing by a victim can be enough to stop a bullying attack. If they see groups stand against them, they lose their power. Together we can take the power away from bullies.